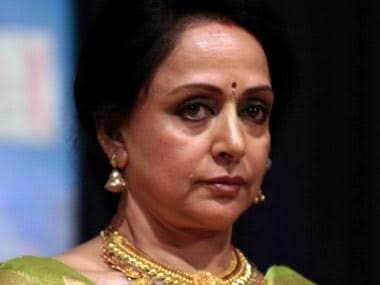 In Bollywood, she was termed as a "dream girl" and had assumed the nickname of “Basanti” for her chirpy dialogue delivery in the 1975 blockbuster Sholay. But in the rough and tumble of Mathura’s politics, Hema Malini is far from being a smooth talker. She struggles with the right words and expressions. At Sersa village, when a person among the audience pointed this out, the actor-turned-politician said, “In the movies, I speak dialogues written by others. But here, not only do I think of my own dialogues, but I also try to improve the way I deliver them." 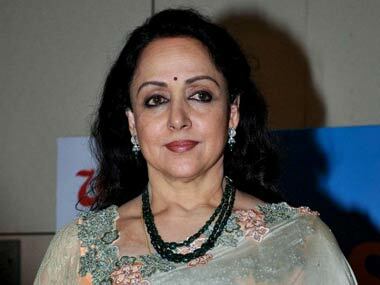 Over the past five years, Hema Malini has matured as a politician. She has developed an instant connect with the electorate. That she belongs to south India is hardly a handicap. She has ingratiated herself to the local culture, which is deeply rooted in spirituality. “Radhey Radhey” has become her catchphrase, rather than any tacky filmy dialogue. An important aspect of Mathura is its symbiotic connect with Gujarat. Everybody seems to have learnt by rote the mythology of Lord Krishna’s migration to Dwarka in Gujarat and the resultant agony of the people of Mathura. Hence, Gujarat and its people remain an attractive spiritual destination for the residents of Mathura. In today’s political context, Mathura finds the connect with Gujarat in Prime Minister Narendra Modi, whose popularity is evident in Mathura. The reason for Modi's popularity is not far to seek. Mathura and its adjoining townships such as Govardhan, Barsana and Vrindavan are seen as play-fields of Lord Krishna. Despite their religious significance for India, these townships featured at the bottom of cleanliness surveys of urban areas till three years ago. But now, Mathura is known as the city that is galloping the fastest on the cleanliness charts. Roads around the city, and even rural connectivity, have improved. The use of plastic is effectively dissuaded, and Mathura’s urban landscape has significantly changed. This transformation came so fast that it has taken even residents by surprise. Take, for instance, the menace of stray cattle. It has almost disappeared. The city, being the birthplace of Lord Krishna, has always had affection and reverence for cows. But stray cattle used to be a menace. Not any more. “We had never imagined that the city would change so much, and so fast,” commented a staffer at the district magistrate’s office. Mathura’s changes have to be seen to be believed. But its politics is also mercurial. People have still not forgotten how Atal Bihari Vajpayee saved his deposit from this constituency with great difficult in 1957. At the peak of Jawaharlal Nehru’s popularity, Vajpayee, an emerging young leader from Bharatiya Jana Sangh (BJS), chose Mathura, along with Balrampur, as two seats for contesting the elections. 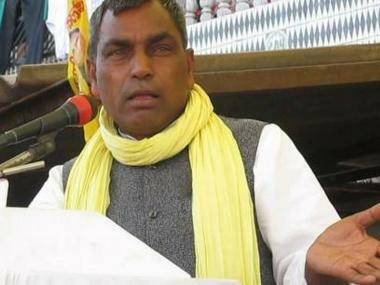 He lost badly in Mathura and won from Balrampur. Vajpayee’s affection for Mathura was special, as it was also the birthplace of Pandit Deendayal Upadhyay, considered to be the most authentic ideologue of the BJS, whose “integral humanism” became a guiding philosophy for the Sangh Parivar. The place was also known as the epicentre of the militant cow protection movement in the sixties, which saw a huge mobilisation of Hindu seers outside Parliament in Delhi. Despite the fact that Mathura contained so many strands of Hindutva within it, the place was traditionally a stronghold of the Congress. The Congress was more deft in managing the contradictions and responding to people’s aspirations than the saffron fold. Even the Hindu seers who dominated the social discourse were favourably inclined towards the Congress. In the nineties, at the peak of the Ayodhya issue, the balance tilted in favour of the BJP. 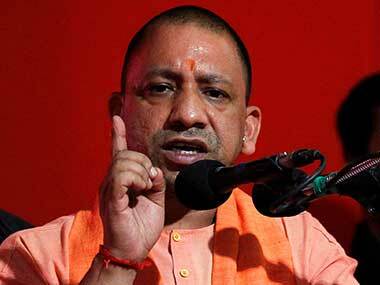 But what appears to have further cemented the BJP’s position is the appointment of Yogi Adityanath as the chief minister. Adityanath, who presides over the Gorakhnath Peeth, is also deeply connected with religious seers of Mathura. He has launched a series of initiatives in the past two years to turn this city into a unique pilgrimage destination. In fact, he seems determined to transform this place into a role model for pilgrimage tourism in India, and has invested a huge amount in building infrastructure. 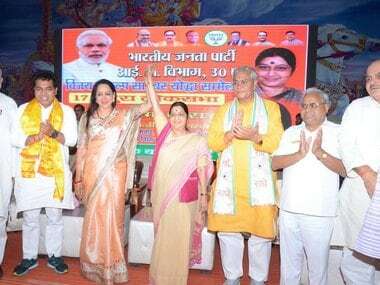 Evidently, Hema Malini has been reaping the windfall of Yogi’s munificence and people’s emotional connect with Gujarat and Modi. Though she is pitted against Narendra Singh, an RLD candidate backed by the SP-BSP, the mood of the constituency favours the BJP. At her Sersa village meeting, I got a glimpse of the electorate’s decision when I asked an elderly villager, “Will she win?”. Pat came the rustic repartee: “Do you think she will lose?”. Brij bhasha (a language spoken in the region) is known for its wit. And one of its high points is that questions are responded to by throwing equally quizzical queries.